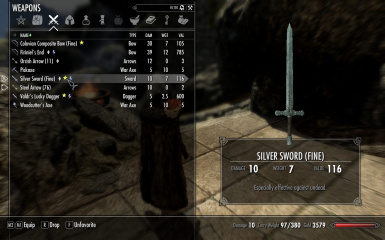 Was wondering if you were still around and doing modding for Skyrim S.E? As I would like you to update and port over to se EzEs Artifact Disnenchanting mod. You see he states on the mod that anyone can take it over and was wondering if you would. Works like a charm, it baffles me why the EzE himself hasn't fixed this yet. I tried to contact him originally, but no reply. All fixed, thanks for pointing it out man! Original bug is definitely not Jaysus. Hrm that's odd. I will check it out. I did test it and put it above eze's mods, silver was 8k, then I put it below his mods and it went back to vanilla.